Samsung’s next flagship device, the Galaxy SIV, has been outed today with a photo that was apparently shot with the device. Uploaded to Picasa a few days ago, the photo is dull but the device that took it has all the benchmarks we believe will be on the next Galaxy S device. We have already heard many different stories on the hardware front, with some saying the Galaxy SIV will have a “revolutionary display”, with the word revolutionary being tossed around wherever progress is made, we are unsure what to expect from Samsung. The Galaxy SIV will have an eight core processor, we suspect. Samsung showed their new processors off at CES and they are apparently being fitted in to all upcoming top-tier models soon. We suspect the GPU and RAM will be sufficient and better than the SIII. Evidence that the photo was taken with the Galaxy SIV are as follows, the device model comes from Samsung but isn’t registered under any of the phones out their right now (SGH-N045) and the phone took the image with a 10MP shooter. Both of these point to a new phone in the works by Samsung, but there is no solid proof that this is the Samsung SIV that we are all hoping for. It would have to be top-tier though, with a 10MP shooter, Android 4.1 (Jelly Bean) and 9.6 million pixels (4128 x 2322) image quality. 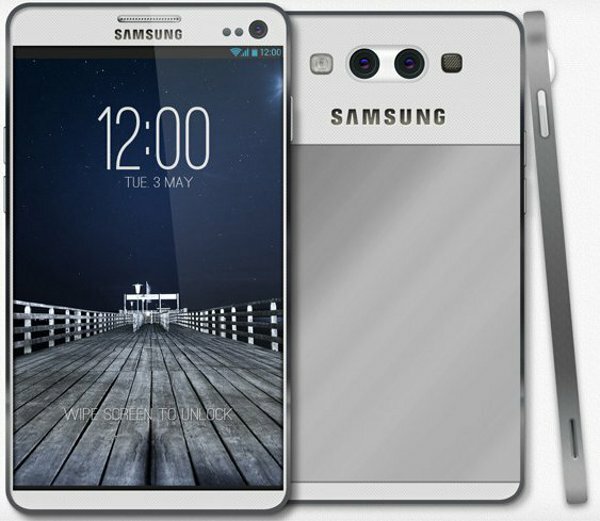 The Galaxy SIII has won over many of previous iPhone users and the tide seems to be turning in Samsung’s and Android’s favour. We are starting to suspect great things from the Korean giant, lets hope it doesn’t disappoint.